At Festival No.6, our aim is to carefully curate a bespoke bill that combines iconic headliners with the best new talent and a stunning DJ line-up. Last year we won Line Up of the Year at the UK Festival Awards as well as Best Festival (LMBA) and Most Unique Festival Site (AIF) which we are extremely proud of. Bands, DJs, musicians and string ensembles will be playing in every available space, from the historic town hall to the Castell gardens, from dance tents overlooking the white sandy bay to the picturesque Estuary Stage. The diverse bill will range from rock’n’roll to house, balearic to folk, seashanties to Welsh male choirs. Arts and Culture is an integral part of Festival No.6. 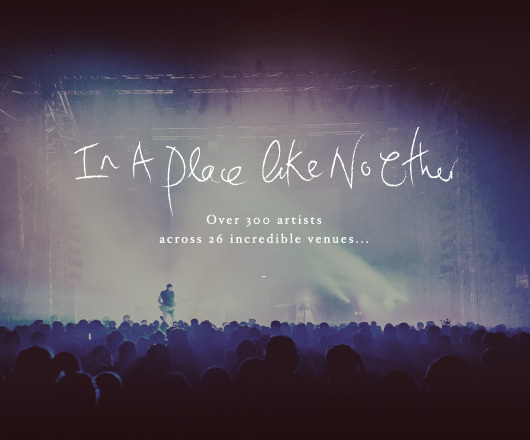 In and around the village, unique venues like the Piazza, Town Hall, Estuary Stage and the magical Gwllyt woods play home to a range of bespoke performances. Portmeirion comes alive with intimate readings and talks, exclusive film screenings with live soundtracks, stand up comedy, art trails through the woods, storytelling in clearings, pop up theatre and installations. Book your weekend stay for your tourer or hire fleet vans, for the festival no6 limited availability we have a local bus route which is every hour in to Porthmadog for you to get the shuttle bus to Portmerion.